Is the air in your IVF lab as clean as it can — and should — be? Laboratory air quality has a striking impact on implantation and live birth rates, mounting research confirms, and even the most pristine, state-of-the-art laboratories generate gases and air particles toxic to embryos. The culprits are wide-ranging: furniture, flooring, paint, cleaning products, monitors, petri dishes, test tubes, incubator parts, clothing worn by staff. Even the felt-tip pens used to write on cryo containers contain noxious solvents. “It is possible to find toxicity with nearly everything that is used in the laboratory,” stated an international team of experts who convened in Cairo, Egypt, for a meeting on IVF laboratory air quality. In a consensus paper published in Reproductive BioMedicine Online, the team concluded IVF clinics must step up efforts to eradicate the airborne particles and gases known to compromise embryo development. “The level of incidental chemical exposure is largely uncontrolled in many ART facilities worldwide,” they wrote. New technology has made controlling this exposure far less cumbersome and expensive than it was in the past, even for clinics that are retrofitting rather than building from the ground up. Given the high stakes and high costs involved in IVF, it is imperative that clinics understand the role of air pollution in IVF success and select technology that will keep the lab free of embryo toxins. Though research on IVF laboratory air quality is relatively new, it has long been known that outdoor air pollution compromises fertility in both men and women. Sperm quality has been declining for decades in industrialized countries, and sperm quantity has dropped more than 50 percent since 1973, according to some calculations. Air pollution is a likely culprit. For example, multiple studies indicate that men exposed to car exhaust on the job, such as highway toll collectors, have higher rates of sperm abnormalities than do office workers of the same age. At the same time, women exposed to highly polluted air — because of where they live and/or where their fertility clinic is located — have more trouble conceiving, whether naturally or via IVF, and experience higher rates of miscarriage. The evidence is strong. For example, in a 9-year study, South Korean researchers tracked 6,600 IVF treatment cycles, estimating the patients’ hourly exposure, during fertility treatments, to pollutants spewed by vehicle exhaust and industrial pollution, such as nitrogen dioxide, carbon monoxide, and ambient particulate matter. The women exposed to the most air pollution around the time of ovarian stimulation and just after embryo transfer had a significantly lower IVF conception rate and a higher rate of early pregnancy loss compared to patients with low pollution exposure. Depending on the specific pollutant and phase of IVF treatment, the women exposed to high pollution levels were 7% to 18% less likely to conceive or maintain pregnancy. “The impact of air pollution can be profound in couples who are suffering from infertility,” stated the study’s lead author. A similar study of 7,500 American IVF patients found that for each extra unit of exposure to nitrogen dioxide, the patients’ odds of conceiving dropped by 13% to 24%. These findings are compelling but not particularly helpful to patients. Short of hibernating indoors or moving to a neighbourhood with cleaner air, what options do they have? “Ultimately there is a limit to how much individuals can control their own air pollution exposures,” notes Lyndsey Darrow, Ph.D., an environmental epidemiologist at Emory University in Atlanta, Georgia. On the other hand, there’s plenty that IVF clinics can do to control the air pollution within their own walls. A mountain of research now links cleaner laboratory air to IVF success. “Air quality is of paramount importance for improved IVF outcome,” a Brazilian research team concluded after reviewing 16 studies on air quality at IVF labs. The strongest evidence comes from an American military-based study that benefited from a unique design. As part of a military budget overhaul, the fertility clinic relocated to a new building engineered for optimal laboratory air quality and fitted with an advanced system to filter out air particulate and volatile organic compounds (VOCs). Nothing else changed — not the staff, the patient profiles, the equipment, or the protocols. The study compared IVF success in the year before and the year after the clinic’s move, and the results were striking. 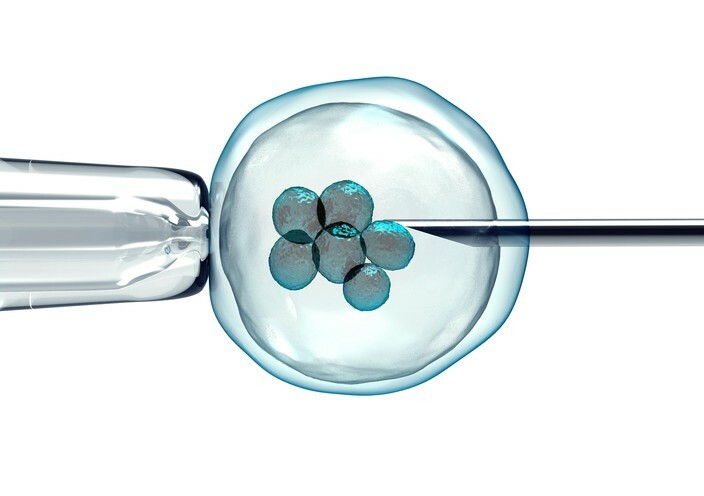 The clinic’s embryo implantation rate rose from 24.3 to 32.4%, and the live birth rate increased from 31.8% to 39.3%, despite increased use of single blastocyst transfer. In addition, among patients who completed the IVF process with embryos to spare, the average number of embryos suitable for freezing increased. Overall, the study’s authors concluded, improvements in lab air quality had a “dramatic effect” on the clinic’s success rates. That may be the highest quality study, but it’s hardly the only one linking air quality with better IVF outcomes. At a Brazilian clinic, live birth rates increased from 25.8% to 35.6% and miscarriage rates decreased from 28.7% to 20% in the first four months after air quality in the lab was improved. A Chinese clinic saw its pregnancy rate improve from 40.6% to 54.6% after installing new air-filtration technology. Upon reviewing these and other studies, the Cairo experts deemed effective air filtration “essential” for maximizing IVF success. Given the spotless appearance of IVF labs, it’s easy to forget these rooms harbour damaging pollutants, but they do, even when you can’t smell evidence of chemicals. Particularly harmful are VOCs, emitted from products that contain compounds refined from petroleum. In the lab setting, these products are everywhere. Painted surfaces, ceiling tiles, cabinets made of manufactured wood, even stainless-steel furniture that has been oiled — all can release gases toxic to embryos. So can laboratory equipment, such as microscopes, monitors, and incubators. After all, when manufacturers select components for equipment, they’re focusing on durability and cost, not the elimination of volatile organic compounds. Staff members, too, can inadvertently contribute to the lab’s air pollution. Deodorants, shampoos, lotions, and cosmetics are well-documented sources of VOCs, and detergents used to launder scrubs can harbour toxic compounds. Lab personnel who’ve been in the vicinity of smokers can introduce third-hand smoke toxins into the lab via their skin or clothing. VOCs are generated 24/7, and they react with the indoor ozone, producing submicron-sized particles and harmful byproducts that have been linked to poor IVF outcomes. And it’s not just VOCs and air particulate that can damage embryos in the lab. Biologic pathogens — viruses, bacteria, fungi — also can waft around an IVF lab undetected, compromising embryo quality and development and implantation success. Chances are, your clinic is already taking measures to keep toxins out of the lab. You instruct contractors to use low-VOC paints and cleaners to use nontoxic supplies. You off-gas your dishes, pipettes, and incubators before use, and you caution staff against wearing VOC-emitting cosmetics or lotions. But the fact remains: no matter how stringent your precautions, toxins and pathogens will find their way into your laboratory. This means the most critical safeguard for your patients’ embryos is your lab’s air-cleaning system. Many systems currently in use are inadequate. HEPA filtration, although widely used to disinfect the air, works by trapping pathogens; not killing them, and is not effective at trapping VOC’s. UV, another air-sanitization method, can be too aggressive and may result in the formation of eye conditions such as cataracts. Hydrogen Peroxide can irritate the skin and cause damage to surfaces and instruments within the lab. Furthermore, these solutions are temporary. Once people begin to enter the lab, they carry with them an array of bacteria, pathogens and VOC’s that they have picked up from common areas and the outdoors. Using a HVAC system, while an effective method of air disinfection, can be incredibly costly and highly disruptive to the lab. The Novaerus Defend 1050 (NV1050) uses patented ultra-low energy plasma technology combined with a triple-stage Camfil® filter system to provide a combined solution for air disinfection and particle removal. The technology is safe for continuous use around vulnerable patients and staff to kill airborne pathogens, adsorb odours, neutralise volatile organic compounds (VOCs), and trap particulate as small as 0.3µm. The Defend 1050 is a free-standing unit, can be wheeled easily to point of care and plugs into any outlet. Novaerus technology is unmatched in terms of efficacy, safety, ease of use, and affordability. In today’s intensely competitive IVF market, it’s not enough to hire top doctors and embryologists, follow stringent sterilization protocols, monitor embryo development with the best technology, and optimize lighting and temperature in your lab. To maximize your clinic’s success rate, it is absolutely critical to clean your air.